Each of our businesses is different – and I think that that is one of the coolest parts of having my own business, as I get to do what fits me and my goals/needs best, while you get to do what fits you and your goals/needs best. But, my current business is also different from the business it was last year, and different from the business it will be next year, and that is both fun and uncomfortable. And, this time of year – the quieter period toward the end of the year, when looking back is a necessity (taxes and financials), and looking forward is a best practice, plus, catching up on many things needs to happen too – is the time to think about all of this. So, I thought that I would walk you through what my end-of-year process looks like in my business this year – and I’d love to hear what you’re doing differently or that I didn’t even mention! Financials: Yes, I look at my financials, since I try to now keep caught up on QuickBooks month-by-month (rather than a big catch-up at tax time), plus, I implemented using a separate cash flow spreadsheet this year too. This all helps me see gross revenue, net profits, and also what my cash flow situation is (and was at various points during the year). Using that cash flow spreadsheet this year gave me a great visual way to see how my expenses fall throughout the year, and how my income come in throughout the year, in a way that the typical QuickBooks report didn’t allow for, and was a great addition to my process. Analytics of weddings: I also go through my final weddings spreadsheet (yes, I use a spreadsheet in addition to a business management software) and look at some key numbers. I look at total number of weddings and compare it to previous years. Then also break it down to how many per month, how many were weddings vs elopements vs other kinds of ceremonies, how many were for military couples or for colleagues (the only two discounts I offer), how many were for LGBTQ couples (important focus for me), and I look at how many I have booked for next year at this time – and all of those I also compare to previous years. I also look at how far out I was booked this year, as it definitely ranges (my average is about nine months out), doing a stroke count to know how many at each point. Plus, I also look at how many of my couples were from out-of-town, since that has only increased every year for me – San Diego is a destination wedding location, and lots more of my clients come from elsewhere. Once I know these numbers, I can start to make some decisions about any changes I want to make next year, including in my systems and processes, and also about wanting to take on more or less weddings, based on my own financial or life goals for the next year. I also check in with my gut to see how the entire year felt, how certain months felt, etc. – I started doing this after the wonderful 2013 when marriage equality came back to California, as I found myself doing way more weddings per week/month in the second half of the year than I had planned, and that taught me to sometimes think before saying yes to another midweek wedding when the weekend is already full. It felt fine when I said yes, as the day was technically open, and then was exhausted when the wedding-filled Thursday/Friday/Saturday/Sunday/Monday weekend happened! Referral Sources: I also take some time to go through that final spreadsheet to analyze where my weddings came from. It’s important to track not only your leads (my business management software does this really well for me), but also your bookings. Since, let’s be real, loads of leads that don’t convert are usually useless to you and your business (unless you struggle to convert no matter where they come from, in which case, we have a different issue to discuss!). Since my database can only handle one referral source in that field, I also have this on my weddings spreadsheet in order to handle more than one answer. And, therefore, I am also sure to ask this question of my couples more than once, as they may give me different answers! I ask in the inquiry, of course. Then I also ask them in my “Vendors & Details Questionnaire” (part of my process). And sometimes it even comes up in the meeting too. Therefore, at the end of the year, I go through and do a final tally of where all of my weddings came from this year. I do this year by year as it does change each year – some sources that weren’t great are now fantastic, while others that used to send me lots of ideal couples no longer do. Once, I know this, I can make some decisions about marketing and advertising, to capitalize on what is working, and eliminating or lessening what isn’t. This is something that is less tangible, but just as important. Annually, you have to sit and think about what has changed and if there is anything you need to do in response. For instance, I am changing how I follow up with photographers for pictures and what I am asking for (and what I am planning to do with them). With websites being “mobile first” now – and knowing that couples really are using their mobile devices to research wedding pros more than ever – I am focusing less on adding more full galleries to my website (and am going to pull some down, actually, as I have A LOT on there), and am instead focusing more on sharing images on social media. This means that I will ask only a handful of photographers for a full gallery worth of pictures from weddings this year, and will ask all of the rest for the handful of images that I want to share on social media, especially on Instagram. Plus, I’m changing my process around all of that (not shocking for those who know what a system and process geek I am) – changing email templates, tracking spreadsheets, and what information I prep (like lists of vendors and IG handles for every wedding). Another example in my business is that I’m making a switch in what business management system I use – which is HUGE after being on the previous system for seven years (and 700 weddings!). So, I’m taking this opportunity to edit and update all of my email templates, my workflows, my questionnaires, etc. And, like I mentioned above, with more of my couples coming in from elsewhere rather than being local, I’m making these systems and processes changes with that in mind. Planning for the New Year: After all of this is done, I feel comfortable actually starting to set goals, make plans, and start to implement changes. I hope that this helped you to think about what you need and want to do! If I can help, and one-on-one coaching time with me would be useful, let me know. Here’s to an even better 2019 for us all! In San Diego, weddings happen year-round, yet we do have a slower season and, just like the rest of the country, that slower time is now. As wedding professionals, November through March is our time to have fewer weddings and less cash, while having more inquiries, more meetings, and, hopefully, more bookings. Which can make our slower season stressful, but stressful in different ways vs. our busy season. And yes, there are those outside the wedding industry who figure this must be our time to sit back, relax, and “eat Bon Bons,” but, unfortunately, they are wrong. The slower season is such a crucial time for us and it flies by, so here are the 3 things that I try to make sure and do in my business during the slower season. 1) Take some breather and relaxation time. Yes, I know I just was talking about how important this time is to our business, and I will be the first to admit that I am not good at taking relaxation time. Yet, it is very important to do, especially at the end of a busy season. We work hard and give up a lot to make sure our couples are taken care of, and thus, now is the perfect time to take care of ourselves in some sort of way before beginning our important slower season tasks. Put an out-of-office reply onto your e-mail and voicemail, take a few days off with no wedding business interruptions allowed, and recharge your batteries. In our passion-based businesses, the worst thing that can happen is that we lose our passion. 2) Work on your business. During the busy part of our season, we often go from client to client and wedding to wedding and priority to priority without much time to get some of the daily or monthly business tasks done. Which makes this the best time to catch up on some of those tasks we put off, like accounting, getting pictures from those wonderful photographers your couples hired, and post-wedding clean-up, plus following up on requesting reviews. 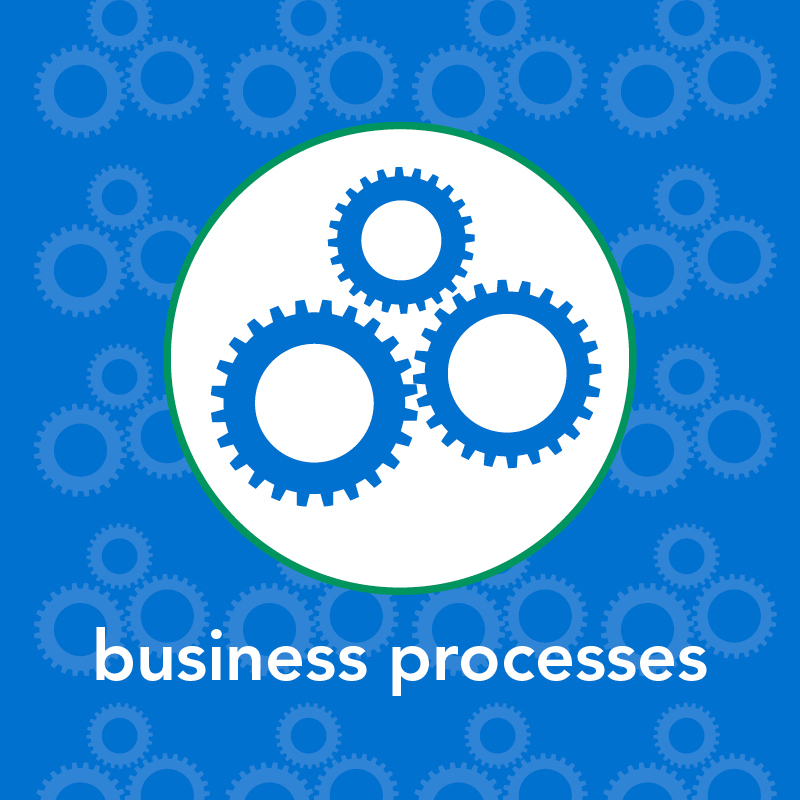 And, since there is little to no time during the busy wedding season to focus on business improvement, this is also the best time to switch business systems, build templated e-mails, and work on other aspects of your business processes and systems. The goals are to improve the customer journey for next year’s couples, figure out new ways to market and bring in more business (since we have to constantly be in search of new couples, right? ), as well as to find time and cost savings, as all of these will help elevate your business. 3) Revise goals and plans based on the current state of your 2018 business. Now is the perfect time to evaluate how your business is looking for 2018 vs. your goals, and, based on what is learned from that evaluation, adjust what you are doing. Are your bookings at the number you expected? 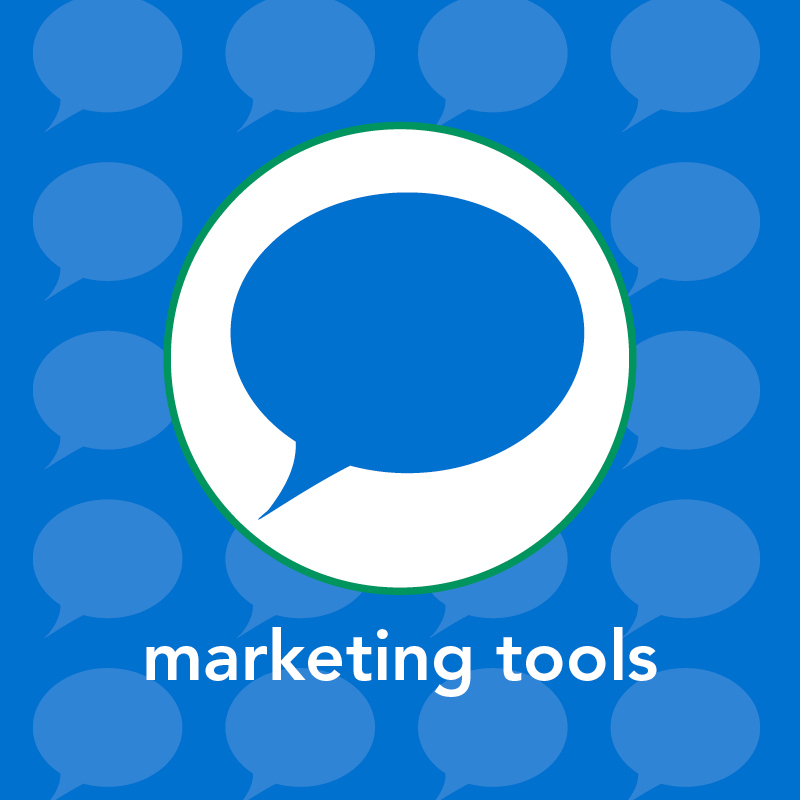 Are you marketing tools each performing as you expected? Is it time to raise your prices? Do you need to increase relationship building efforts? By evaluating early, it can allow you to better focus/re-focus your marketing dollars and be proactive vs. reactive. Of course, if you need any help, now is also the perfect time to work with a coach – hint hint – since this part of the wedding season/year allows the time necessary to work on improving your business, and it’s easier to take both the needed look back – and the needed look ahead – to figure out what changes can make an impact on your business. 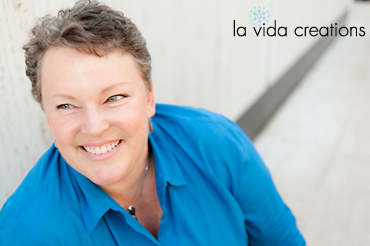 If you need help elevating your business to the next level, please don’t hesitate to contact me, and we can discuss Skype coaching options – either one-off or a series – for you and your business. Although not a necessity, most wedding industry businesses can benefit hugely from a good relationship building plan. One of the first steps in any relationship building plan is meeting people, and one of the best ways to do that is through networking. Having said that, I, like many of you, don’t always love networking, and often hate the stereotypical networking! Yet, when done right, networking can increase awareness of you and your business, establish and/or improve relationships with other wedding pros, and reaffirm your legitimacy in the industry. Although I really don’t always love doing it, and sometimes dread it, to be honest, from the very beginning of my officiant business, networking helped, and it still continues to help, my business immensely. And, therefore, I keep doing it and encourage others to do the same. So, here are 6 quick tips that can help. 1) Go to multiple styles of networking events offered by multiple different groups. Over time, you will likely reduce down how many and which ones you go to, but by initially checking out many different events put on by many different groups can not only legitimize you and your business, but also help you to figure out which ones are your best fit. 2) Be prepared. Are there specific people you want to meet? Do you have business cards on you? Do you have an elevator pitch for your business? While you don’t need a specific memorized pitch (and I really recommend that you don’t, as it can feel fake), be sure that you are prepared to answer questions about what you do or what your business is, as that first impression of how you answer that question can be powerful. 3) Sponsor the event, or something at the event. This builds credibility and gets people coming to talk to you vs. you having to go talk to them. 1) Don’t just hand out business cards. I wouldn’t think I would have to continuously repeat this one, but at every event I go to, there are at least one or two people just walking around handing out their cards to everyone. A few short conversations are going to be much more beneficial than handing out 50 cards to random people with no connection to that card and who you were. 2) Don’t get drunk. Yes, the alcohol might be free and, yes, you might be the life of the party that everyone is talking about. But they are not talking about your business in a positive way if that is what comes up when someone mentions you. 3) Don’t think that once is enough. If you go to an event and it wasn’t great (or even painful), try another one, but maybe bring a “wingman” with you next time, if you really think that that group or event is likely to still be worth your effort. If you go to an event and it is successful and you see possibility there, go to more. Building relationships through networking is a continuous process that usually requires multiple contacts. I hope that these tips help! If you would like more in-depth assistance in regards to networking and creating a great relationship plan specific to you and your business, I’m happy to help with that! Just drop me an email at bethel@elevatebybethel.com. Is the customer – or in our case, the couple – always right? 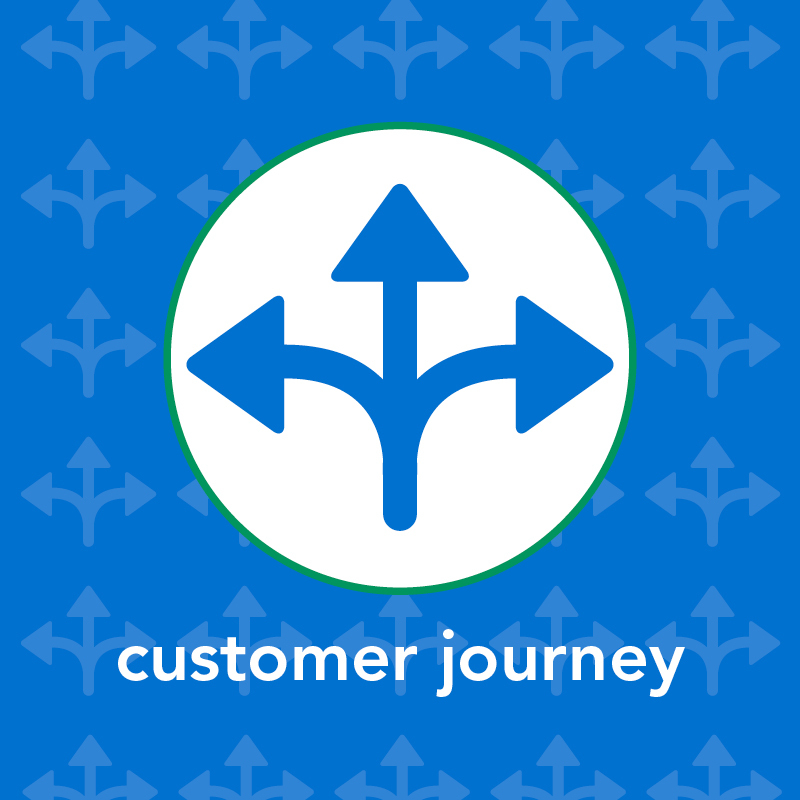 This year I am talking a lot about the customer journey, which starts the moment a couple finds your business, and how the journey you have them take not only affects whether a couple books you but how, if done right, the journey improves the couple’s entire experience with you and thus improves their overall impression of your business. So, looking at the importance of a couple’s journey and the high level of personal service expected of wedding industry businesses, is a couple always right? Well, I can say without hesitation, and I am sure you would probably agree, the customer is not always right. However, in the wedding industry, when it comes to customer service and the couple’s journey, we have to make sure that the expectations of our ideal couples are going to be met, or exceeded, and our customer service goes above and beyond. The nice thing is that if we do our job right by identifying our ideal couples, tailor our marketing to attract them, and then create a customer journey that is designed with our ideal customer in mind, our instances of the customer thinking they are right vs. them actually NOT being right should be very low. 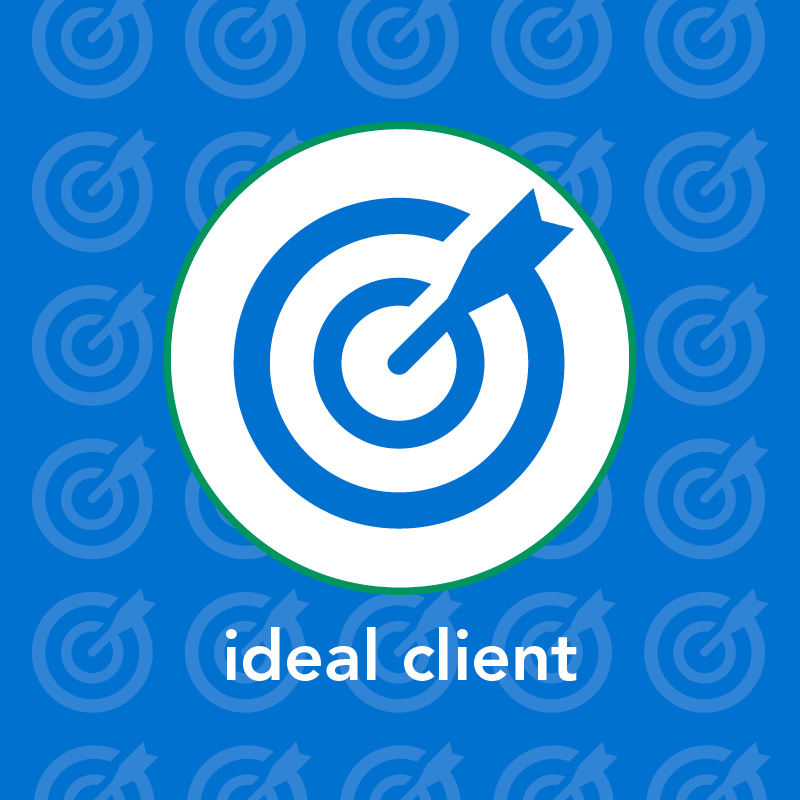 If you read my blog, have heard me or other wedding professionals speak, listen to small business guru podcasts, etc., there is no doubt that you have heard about the concept of the ideal client, or in our case, the ideal couple. When moving your business from “all couples are your market” to focusing on attracting and working with your ideal couples, the most important step is to figure out who are your ideal couples are, and then the second most important step is to figure out if there are enough of your ideal couples to support the business success you want to achieve. 1) Use existing market research and surveys. WeddingWire, The Knot, and other wedding industry leaders do yearly surveys on the wedding market that contain large amounts of helpful data. How many weddings are in your market, average size of those weddings, average age of the couples, average budget spent, plus so much more… all data that is at your disposal. 2) Do your own market research and surveys. Although not always possible or practical, creating your own questionnaire and getting it out to couples can prove helpful since you are getting information specific to what you want to know vs. trying to interpret other people’s data to get your answers. This method is more in-depth since it requires an understanding of how to create and ask survey questions and the need to be able to get enough of a sample of returns to draw valid conclusions. You can do this type of survey by creating a questionnaire and then buying a booth at a wedding show, buying a list, and/or surveying couples through others in the industry. 3) Actual testing. If you have a decent-sized initial marketing budget and the time to build your business, you can start marketing to your ideal couples in the places that you think they are looking. Obviously, this can be expensive if there isn’t enough of a market of your ideal couples to support your business. However, it is the most direct way to find out, since you will either start to get enough business to validate that you can be successful with this set of ideal couples, or you don’t get enough and know you need to adjust. Knowing that there is a market, and a large enough market, of your ideal couples to allow your business to reach the success you envision is a key step that you should not skip as you elevate your business. If you have questions or need help determining your ideal couples and/or doing research on market size, please let me know and we can work together to figure it out.